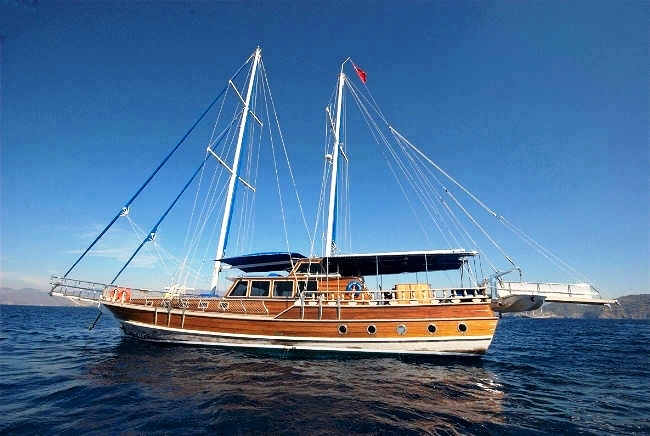 Luxury gulet Ceylan is a 20 meter Gulet based in Turkey able to accommodate up to 6 guests. 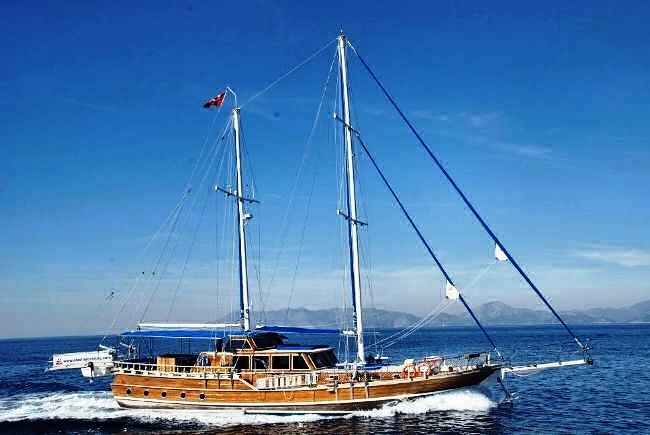 The gulet was completed in June 2004 and constructed with mahogany and teak wood work. 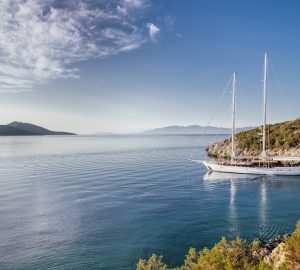 The yacht is based in Fethiye, Turkey however is specialised along the Turkish coast in areas such as Fethiye, Gocek, Marmaris and Bodrum. 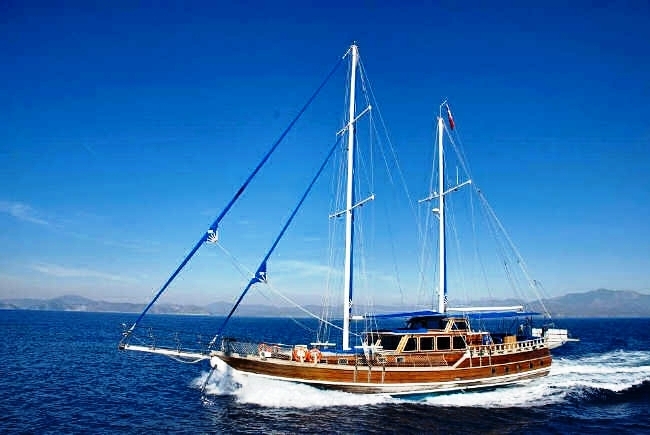 The 20 meter motor sailor Ceylan can accommodate 6 guests in 3 cabins including a master cabin and 2 double cabins. 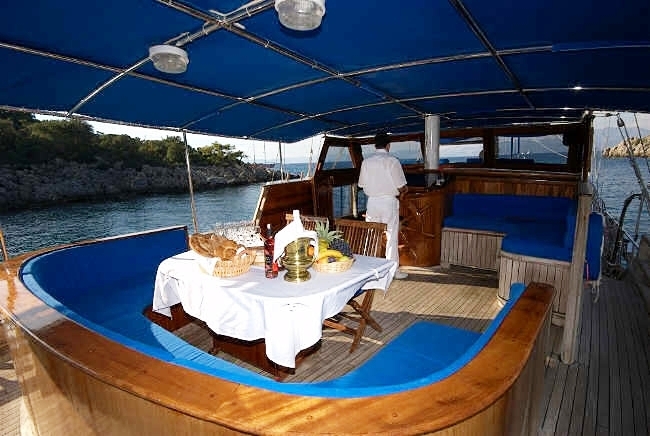 Each cabin has a private shower and toilet, air conditioning, TV and DVD player. 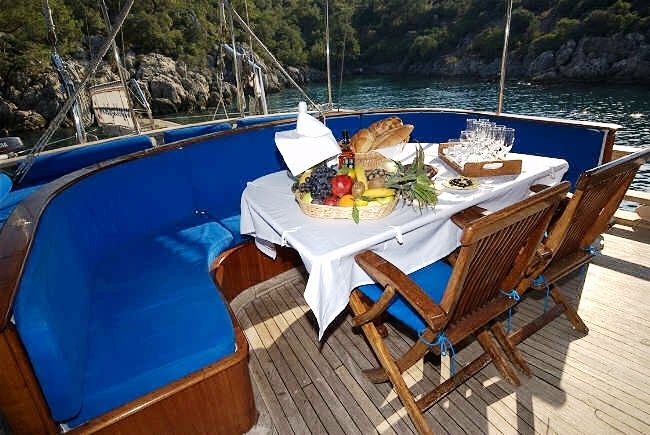 Ceylan has an interior salon with dining table and sitting area and TV. 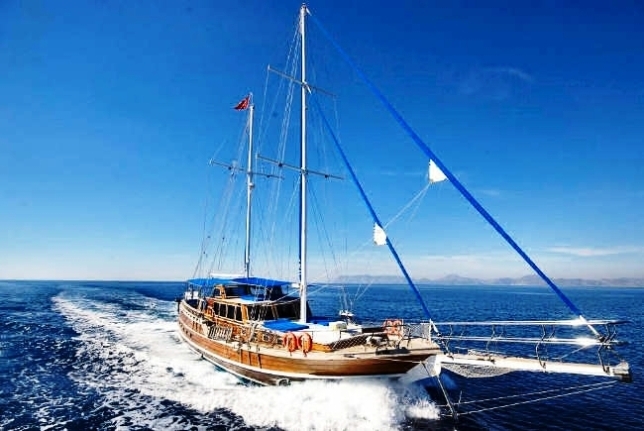 The gulet is ideal for honeymooners and families. 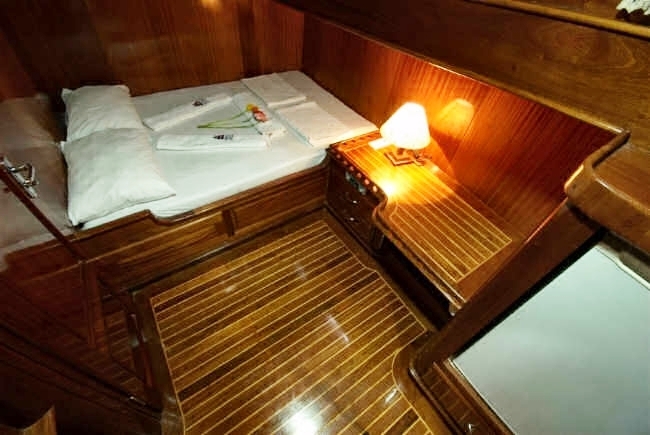 There are 3 crew including a captain, cook and sailor who are accommodated seperately. 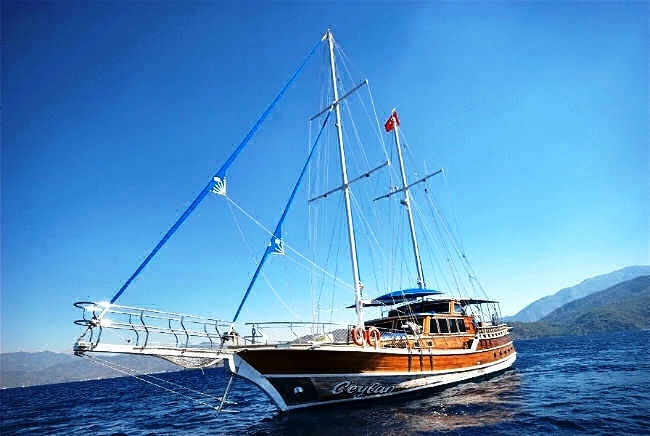 Turkish Gulet Ceylan can accommodate up to a maximum of 6 guests: She has a Master cabin and 2 comforatble double cabins all with double bed. 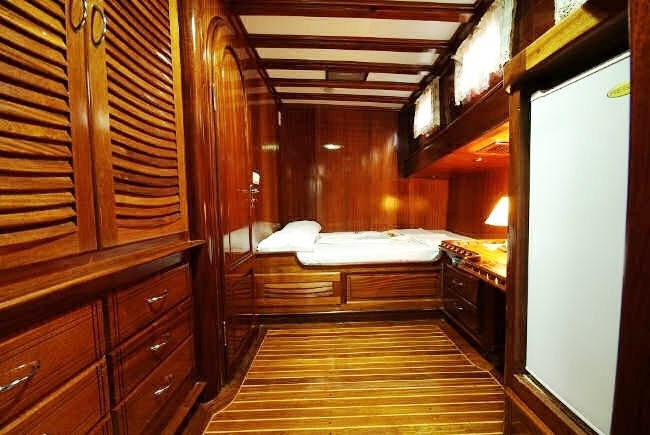 Each cabin has a private shower, toilet and airconditioning along with a tv, dvd player, music system and minibar. 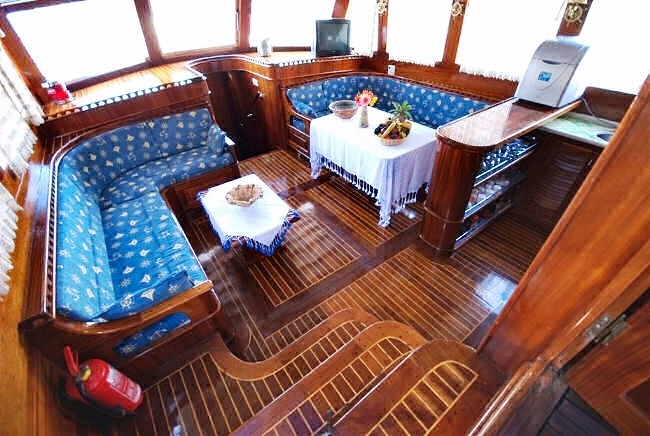 The yacht has a Teak deck. 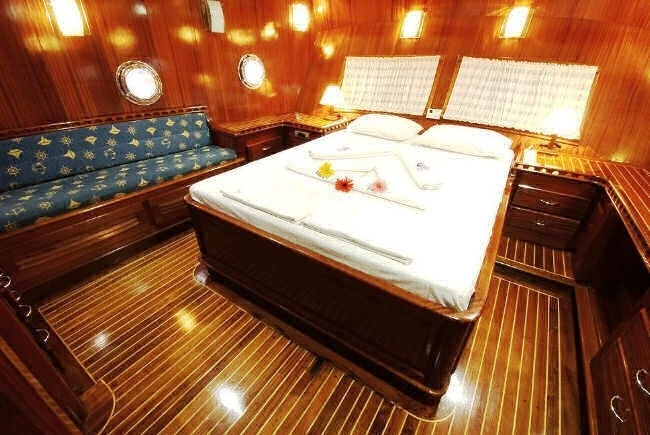 The crew of 3 are accommodated seperately. 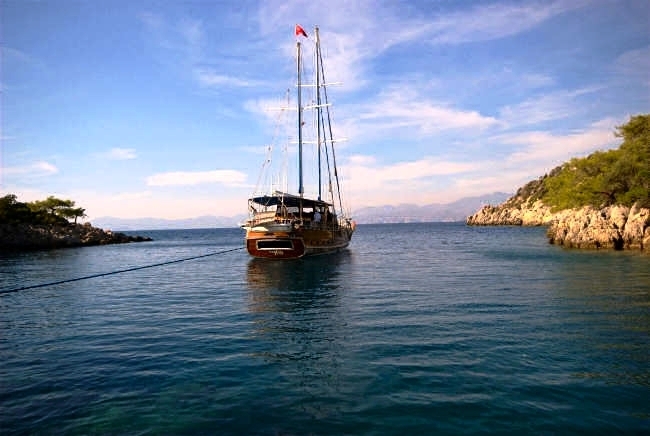 Gulet Ceylan has the following equipment on board: A VHF, Radar, GPS and Deepsounder. 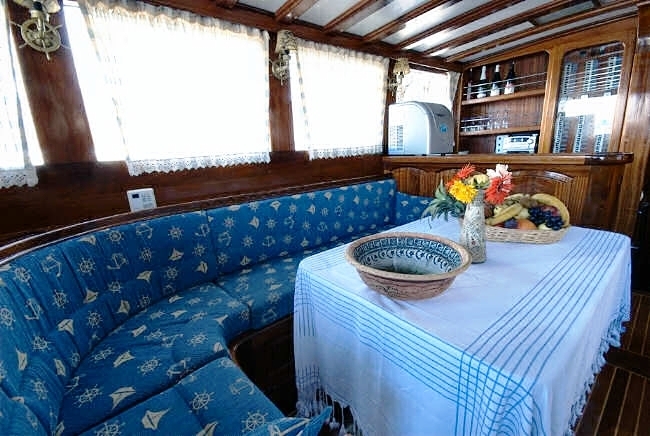 A Generator 17 KWA. 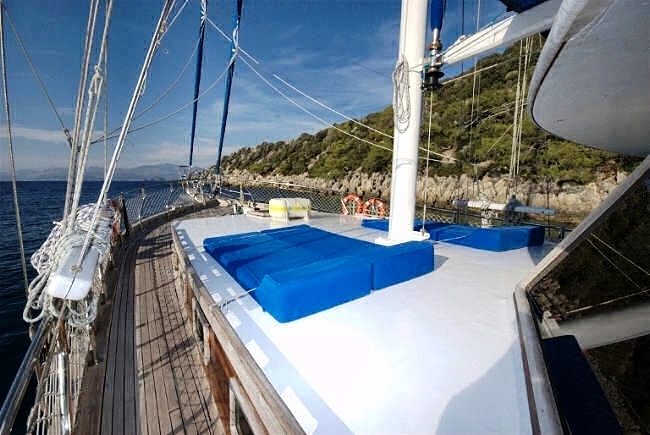 Sails (roller). 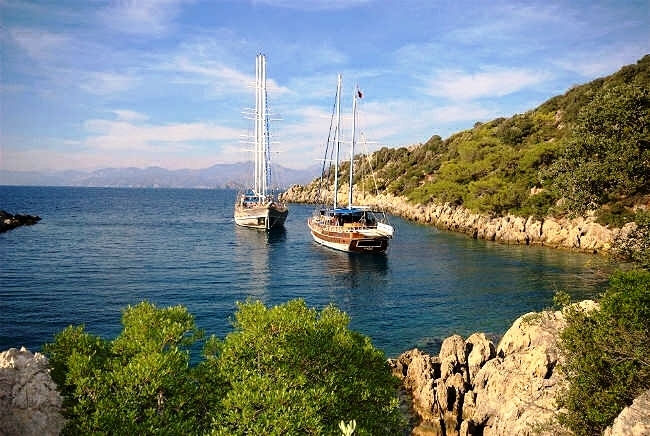 Fishing equipment, Snorkeling gear and Dinghy. 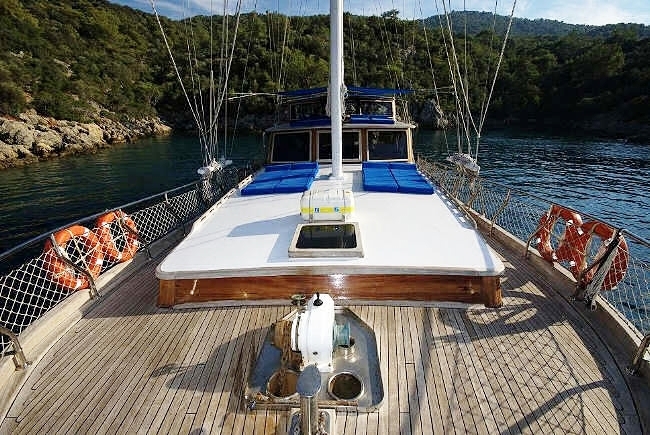 She has a Teak deck, Washing machine, Dishwasher and Ice maker and an inside telephone line.